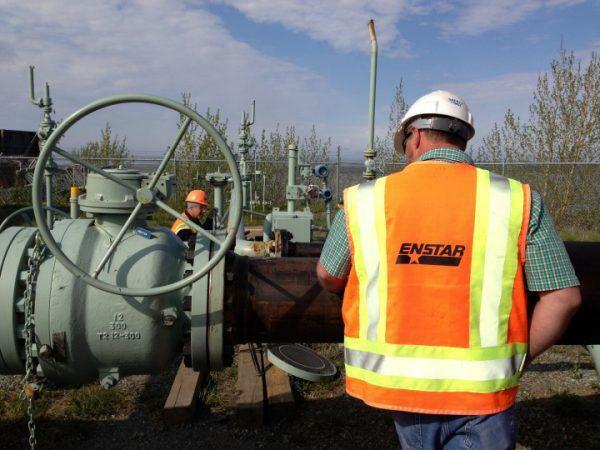 ENSTAR Natural Gas Company provides natural gas to more than 142,000 residential, commercial, and industrial customers in and around the Anchorage and Cook Inlet area. Most reports are from Anchorage and the Mat-Su valley near the earthquake's epicenter. But there's also calls coming from the Kenai Peninsula. The company called in former employees and extra help from the Lower 48 to inspect homes. It's unknown how long the work will take. Technicians are flying in and traversing remote terrain on snowmachines to do the job. There just seems to be something about big earthquakes and Fridays in Alaska. Friday morning's magnitude 7.1 quake fortunately did not cause the damage and disruption on the Kenai Peninsula as they saw around Anchorage. Things were more or less back to normal in Soldotna by late morning. Kenai appears to have weathered the damage from the two strong earthquakes this morning. Centered in and around Anchorage, the 7.0 and 5.7 earthquakes have triggered tsunami warnings for as far away as Prince William Sound, Kodiak, and all of the west coast of the Kenai Peninsula. All tsunami warnings were later cancelled with no waves reported. Kenai Fire Department Battalion Chief Tony Prior said the department is responding to several calls. There is some road damage on the Kenai Peninsula as a result of this morning's 7.0 and 5.6 earthquakes near Anchorage. According to the Alaska Departement of Transportation and Public Facilities, two spots on the North Road, at miles 19 and 35 suffered damage. At Mile 19.7, a three- to four-inch wide crack 500-feet long is in the road, but it is still passable. At Mile 35.5, a gash 8-inches wide extends about 150 feet. The road remains passable, but at much reduced speeds.